Trader Joe's Pancake Bread is described on the packaging as "a twist on the buttermilk short stack, baked into a sweet, moist loaf. A 15-oz loaf cost me $3.99. 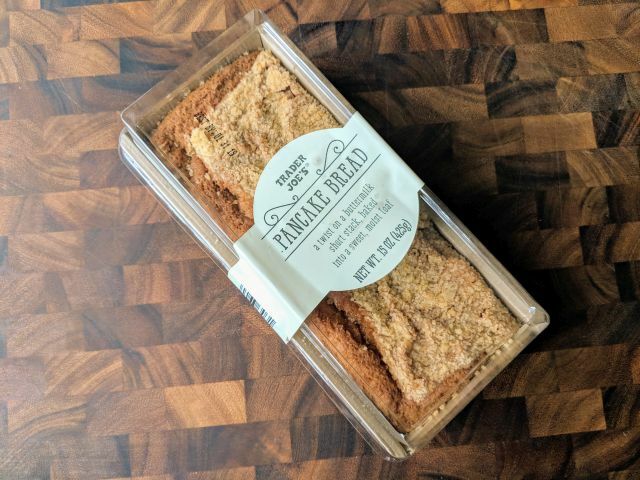 Trader Joe's Pancake Bread is more like coffee cake or pound cake than a pancake. It's not fluffy like a pancake. 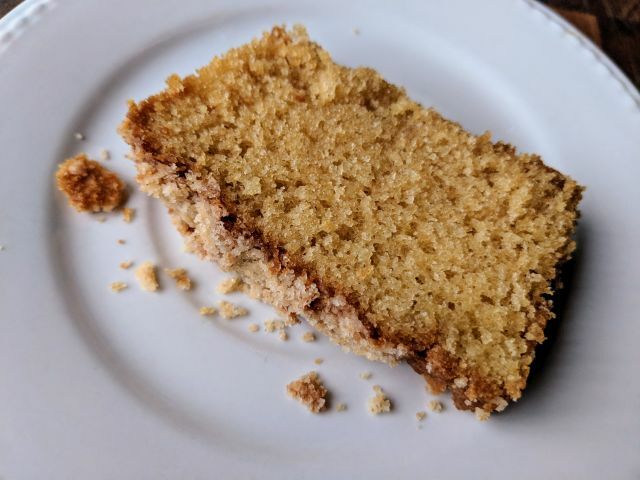 Instead, it's denser and crumbly but still moist. The pancake portion seems to come in as a buttery quality along with a light, sweet maple flavor. 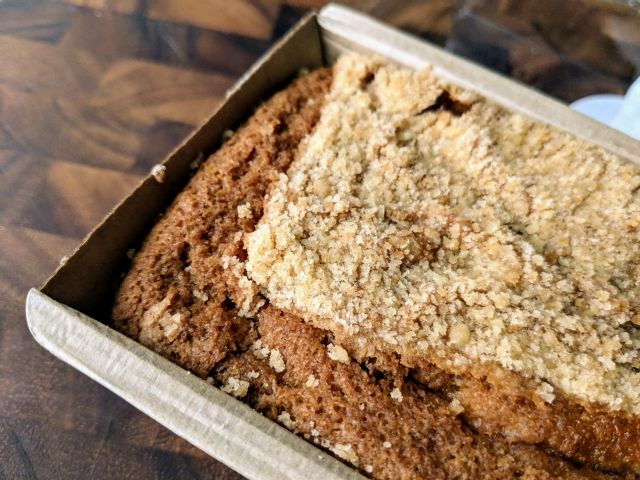 There's a crumb topping on the surface that adds a light crunch, extra sweetness, and just a touch of cinnamon. 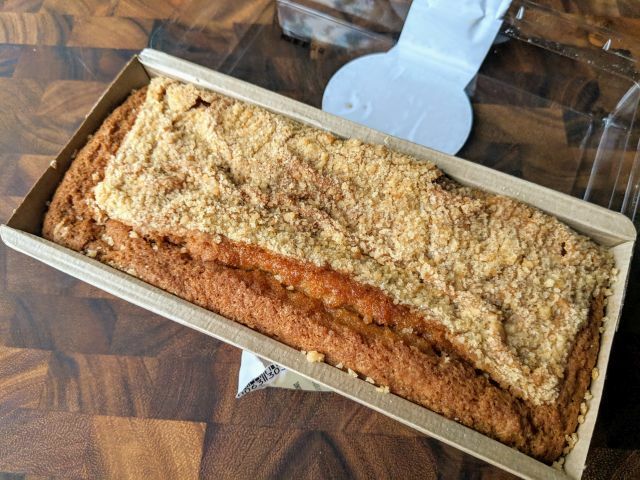 Overall, Trader Joe's Pancake Bread comes out as a well-made loaf of coffee cake with a pleasant note of maple syrup.